You will be allocated an experienced, capable account manager whose role is to work closely with you to fully understand your business from an IT perspective. Through this process, a three year ‘roadmap’ of goals will be documented helping your business develop, plan for any investments and critically gain measurable business benefits. Quarterly Business Reviews (QBRs), will be conducted to ensure that together we remain focused on these goals. It is common for us to take over the support of networks that have security weaknesses. It is essential that your systems are compared against what is considered to be the current best practice. Through the use of comprehensive enterprise grade tools we can identify risks and take steps to a resolution. During the initial baseline audit phase, we will be able to provide you with a report of your own systems. On an ongoing basis we will rerun these tools to ensure your infrastructure continues to meet all current best practices. Our core offering includes unlimited access to telephone and remote support at a maximum 15 minute response time, as well as onsite support visits when we can’t resolve your issues remotely. Our clients benefit from the valuable peace of mind knowing their IT issues will be resolved quickly and efficiently at a fixed monthly cost. With a 25 strong team in Ramsgate, we have the resource to deliver. Our team are available 24/7 around the clock, 365 days a year. You may never need to call us out of hours, but this is a service that is worth the contract value on its own if you do actually need it. If you have your own ‘in-house’ IT staff, but require additional support and technical knowledge, BCS can offer a service that complements your existing infrastructure, providing extra resources when you need them most. 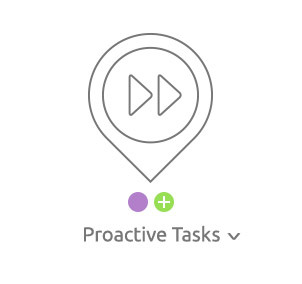 All work performed is recorded in our industry standard auditable professional services automation system (called ConnectWise). When you place a support request it is graded as either business limiting (can’t connect, can’t work or can’t print etc.) or administration work (such as adding new users). 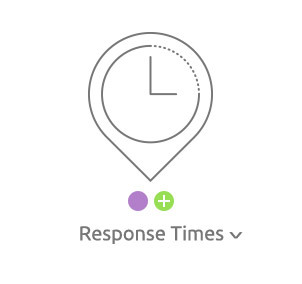 For all business limiting issues we provide a maximum 15 minute response service level agreement. Typically our support teams are working on these tickets at an average of about 6 minutes. The administration tickets are delivered on a 60 minute service level agreement. Time to resolution is important and our goal is for all tickets during working hours that are not waiting for end users or third party providers to be completed within an average of 2 hours. These are critical key performance metrics for our support teams and if you get a chance to visit our office in Ramsgate, you will see the wall displays of live data keeping the whole team on their toes! 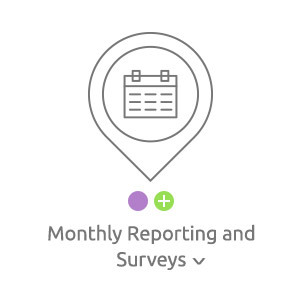 You will be provided with a comprehensive usage report each month detailing how many support tickets have been generated, with emphasis on analysing both response time and resolution. Knowing that you passionately love what we do to support you and would be pleased to tell others is really important to us. 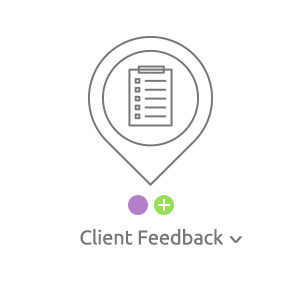 Every end user support ticket for field and remote assistance generates a closing email with a link to a survey. Just completing this really short survey gets you into a prize draw, but critically gives a direct way to provide feedback to us on the service you have received. 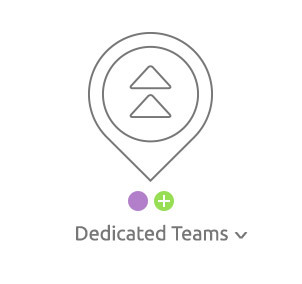 To ensure we have a scalable business when we reached 16 technical staff, we made the decision to split these into three teams with ‘Blue’ and ‘Green’ customer facing reactive teams and a Net Admin proactive team. Our growth plans mean we will be launching our ‘Purple’ team within the next 12 months with a mix of existing experienced staff and further recruits. 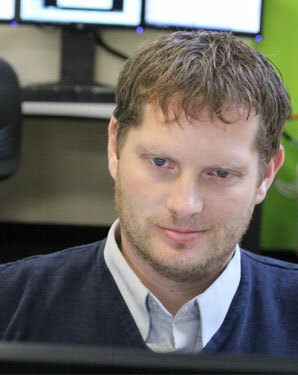 Each team will have a maximum of 8 technicians plus a technical account manager. The customer facing ‘Blue’ and ‘Green’ teams look after all of the customer generated support matters. Can’t print? Can’t find your files? Have a new user starting on Monday? All of these and more are handled by the guys and girls on the support board. 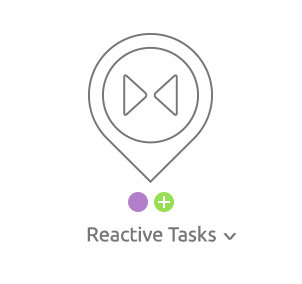 There are strict response times for reactive tickets with the maximum ‘Service Level Agreement’ response for business limiting tasks at 15 minutes. The end users we support really benefit from getting to know who is providing their day to day support. The use of an industry leading 24/7 remote monitoring service is included in our core support agreement as standard, enabling us to guarantee high service levels, detect faults and implement self-healing mechanisms that can help prevent downtime. Access – Your business internet provision will be monitored for stability and availability, taking remedial action and working with the service providers as required. Security – The delivery of Microsoft and most third party updates are managed and driven by our comprehensive systems, sometimes being planned to happen out of hours when updates could cause downtime. If you have a managed unified threat management (firewall) in place, this will also be updated proactively. Recoverability – Each day your back up reports will be checked and if requires, remedial action taken. Every two months a sample restore of your data is conducted to ensure that the procedures work and stored data encryption keys match. The threat landscape is constantly changing and it is our job to ensure we select the best products to protect your servers and endpoints. Endpoint protection is more than just virus protection now. 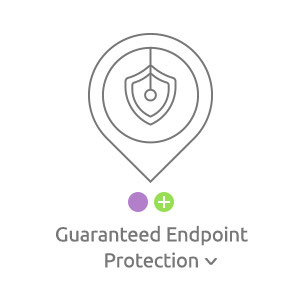 Within the agreement we supply a license for every protected system of Webroot Secure Anywhere Business Endpoint protection. Webroot is changing the way people see protection with a product that is technologically advanced, deploying easily with a small local client and no great big signature file downloads each day. It even journals system changes so it can roll back in case of a newly discovered risk. With our choice of tools deployed and our advice regarding best practices around attachment handling followed, our guarantee means that if an infection gets through, the cost of any reimaging will be covered by our agreement. It is fairly typical for new prospects we talk with to share stories of their poor experience of changing IT provider. Having researched this, we have found that it is mostly caused by a lack of planning process. 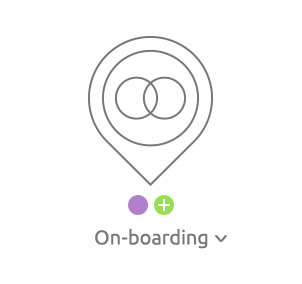 We have a formal on-boarding procedure to ensure your experience of the process is positive. The first step in this procedure is to perform a baseline audit. 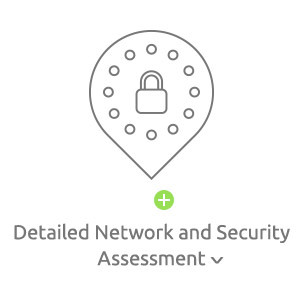 This will include an assessment of your existing network and systems of course, but also your current security position. 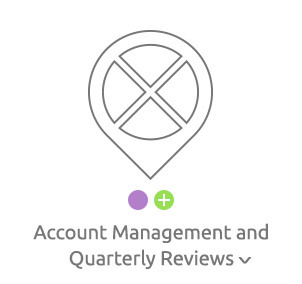 The Account Manager will also be involved from the start of this process to ensure we start mapping out your roadmap as we gain an understanding of your business. Although a time consuming and critical process, the baseline audit and on-boarding process is charged as a one –off capped cost fee of £1,000. We have a small business option for clients with less than 20 systems of just £500. This cost can be paid over 10 month’s interest free and added to the support agreement if preferred. The next part of switching is for BCS to provide parallel support for the final month of the notice of your outgoing provider. We do this at our cost. This ensures that if the outgoing provider plans to be less than supportive of your decision to switch, they are still contracted to help. This is yet another part of minimising the risk of your downtime. Any hardware failures of your servers, workstations and notebooks will be repaired under this agreement, covering both materials and labour. If we detect an imminent hardware failure, we will plan and replace the item before it causes you any business interruption. This comprehensive support extends until the equipment is 5 years old. 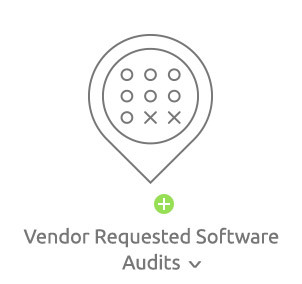 Software vendors periodically ask for a detailed audit of software licenses in use and it is within the usage rights of the license for them to ask for this. In the case of the Microsoft audits, these are called SAM (Software Asset Management) reviews. These can be quite time consuming, but we have agreements that will cover all the time required to allow us to fully manage this process for you, else this work is performed on an hours as used basis. When you come along to our BCS Learning Zone sessions, we like to get a survey for your time with us so we can continue to know that our trainers are providing value and you love to learn in our environment. On this same survey, we ask for details of anything else you know you need to learn more about so we can schedule specific sessions. Some of the popular events we now run are only because our customers asked for them. Training staff is expensive and often ineffective. Typically front led and against a workbook with a rigid format, meaning some delegates found it either too detailed or not stretched enough. The move from ‘push’ training to ‘pull’ learning ensures a more effective experience with the workshop sessions being tailored to the needs of the participants. The room is equipped with a touch screen smart board projector, structured wireless provision and 8 all-in-one touch screen PCs installed with the latest versions of Microsoft Windows and Office. 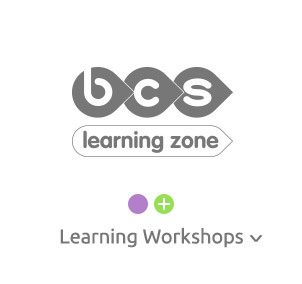 Use of the BCS Learning Zone is included in your support agreement with us. Subject to availability, you can send along two of your team to any (or all) of the three hour sessions we run. These sessions have a value of £50 including VAT each. The usual topics regularly scheduled include Excel (Advanced, Basic and Intermediate), Word (Basic and Intermediate), Outlook (Basic and Intermediate), PowerPoint and Publisher. In addition to the workshops run by a professional trainer listed, we also have sessions scheduled by our senior engineers for Windows 10 and user related issues that they experience first-hand in the field. They are real meet the expert sessions! Check out www.bcslearningzone.co.uk for current session details. 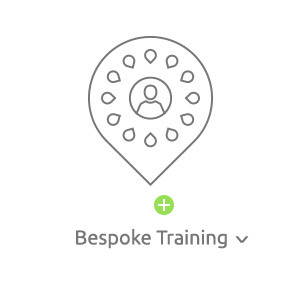 Our existing clients are able to book the facilities in the BCS Learning Zone to host their own staff training events, subject to availability and at no extra charge. Feedback has shown this to be of huge benefit it’s a great method to get their staff away from the office in groups of up to 8 people for line of business application training, where they pay for the trainer (or use their own internal resources, but our room) and their staff still get to raid the refreshments. *A system includes servers, workstations and notebooks across all of your sites. 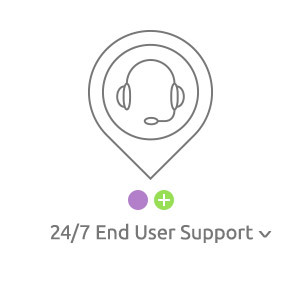 Home users systems who need remote connection or support would be included in these total numbers so we ensure security of their connection into your network. We’re here to help answer your questions. IT matters can be complicated, our experts are on hand to help inform you of every aspect regarding your IT infrastructure. We work as a single united team with market leading firms around Kent and give our clients the highest quality service possible.